Triple jump sensation Pedro Pablo Pichardo continued his terrific 2015 form in the Stadio Olimpico in Rome on Thursday. 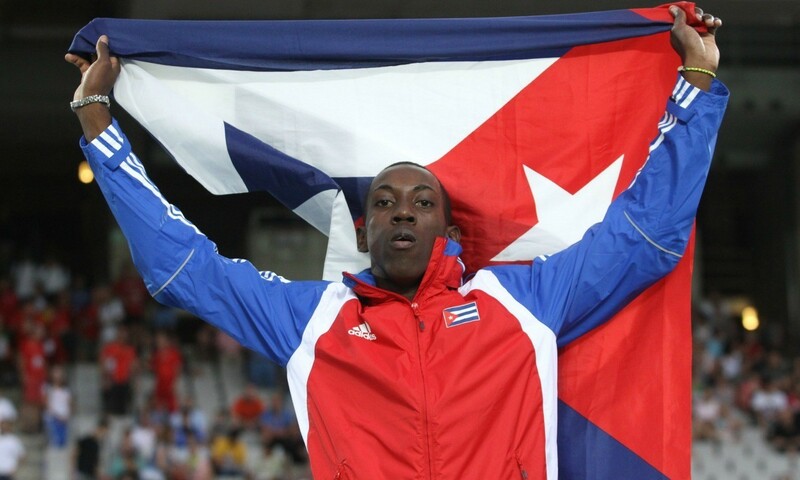 The Cuban has broken 18 metres in Doha and Havana already this season and at the latest Diamond League meeting in the Italian capital he was close again to the barrier with 17.96m. The 21-year-old, who won the world junior title in 2012, has established himself in recent weeks as the No.3 triple jumper in history behind only world record-holder Jonathan Edwards of Great Britain and Kenny Harrison of the United States. One of the breakthrough athletes of 2015, he has jumped further than anybody in almost 20 years and heads toward the IAAF World Championships in August as favourite to improve on the silver medal he won at the same event in 2013. Yomif Kejelcha, 17, is also making a name for himself this season and the Ethiopian distance running talent took a big win in Rome as he beat Paul Tanui of Kenya and Hagos Gebrhiwet of Ethiopia with a 54.55 last lap in 12:58.39. Amazingly, for a runner who isn’t due to turn 18 until August, Kejelcha clocked exactly the same time as the legendary Said Aouita did when he set a world record on the same Rome track in 1987. The world junior and world youth champion also showed his ability to challenge Mo Farah at the World Championships in Beijing. Gebrhiwet, of course, beat Farah over 3000m in Doha last month while Tanui was a relatively close runner-up to the Olympic champion over 10,000m in Eugene. But Kejelcha beat them both in Rome – in style. There was chaos in the women’s sprint hurdles as Sally Pearson and Brianna Rollins failed to finish and favourite Jasmin Stowers also had a nightmare, finishing last, as Sharika Nelvis took the win in 12.52 from Dawn Harper-Nelson with Britain’s Tiffany Porter third in 12.69. Olympic champion Pearson looked to have come off especially badly as she lay on the track clutching her wrist in pain. Jenny Simpson enjoyed a smoother ride in the 1500m as the American timed her finish to perfection to beat Sifan Hassan in 3:59.31 as Laura Muir of Britain was only half a second outside her PB when she finished fourth in 4:00.61. Justin Gatlin’s winning streak shows no sign of stopping soon as the US sprinter ran 9.75 to win the men’s 100m easily. Jimmy Vicaut and Mike Rodgers finished second and third in 9.98 but they were almost a quarter of a second behind as Gatlin destroyed the field and beat Usain Bolt’s meeting record to boot. Renaud Lavillenie is another athlete in a league of his own and the flying Frenchman is one of the fans’ favourites. In Rome he cleared 5.91m to win ahead of Thiago Braz’s area record for Brazil in second. 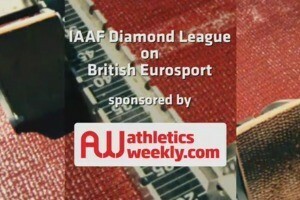 Lavillenie then went on to try 6.01m but it was not his night in his attempt to go over six metres. Blanca Vlasic also delighted fans with her post-high jump celebratory dancing moves but the Croatian legend had to settle for second as she leapt 1.97m behind the winner Ruth Beitia’s 2.00m victory for Spain. Vitezslav Vesely took the javelin win with 88.14m but the event saw Julius Yego smash his Kenyan record with 87.71m in the fourth round as he gave the Czech Republic athlete a fright. That wasn’t the only national record either as Keshorn Walcott launched the spear out to 86.20m for a Trinidad and Tobago national mark. Darya Klishina won the long jump with 6.89m as the Russian beat in-form British-record-holder Shara Proctor, who finished runner-up with a fine 6.85m – only 10cm short of her UK mark. CJ Ujah was another Brit in form in the men’s 200m – he ran a 20.47 PB in a non-Diamond League event won by Lykourgos-Stefanos Tsakonas of Greece in 20.09. In the shot put, David Storl of Germany took victory in 21.46m to further his lead in the Diamond Race standings in his event. Similarly, Sandra Perkovic threw 67.92m to beat Dani Samuels in the discus by more than two metres as the Croatian extended her lead in the Diamond Race. Elsewhere, Johnny Dutch won the men’s 400m hurdles in 48.13 as he beat fellow American Michael Tinsley, while Thomas Barr ran an Irish record of 48.65 in fourth. In the women’s flat 400m, Francena McCorory of the United States won in 50.36, while in the 400m hurdles Britain’s Eilidh Child ran 54.84 to finish third in a race won by American Georganne Moline in 54.47. The 3000m steeplechase saw a world lead of 9:15.08 from Hyvin Kiyeng as she narrowly beat Kenyan team-mate Virginia Nyambura. In the 200m, Jeneba Tarmoh scored another win for the US as she won in 22.77 into a slight headwind as British sprinter Bianca Williams was sixth in 23.32. In the 800m, world champion Mohamed Aman of Ethiopian beat Commonwealth champion Nijel Amos of Botswana in 1:43.56 as the duo swept past Pierre Ambroise Bosse of France in the home straight. Bosse faded to seventh as Job Kinyor of Kenya was third and Adam Kszczot of Poland was fourth as the top four men ran sub-1:44.